Ships today if you order in the next 5 hours 43 minutes. All natural fatty acids are highly recommended as part of your every day diet. But when you aren't getting enough fatty acids from your food, a supplement may help. 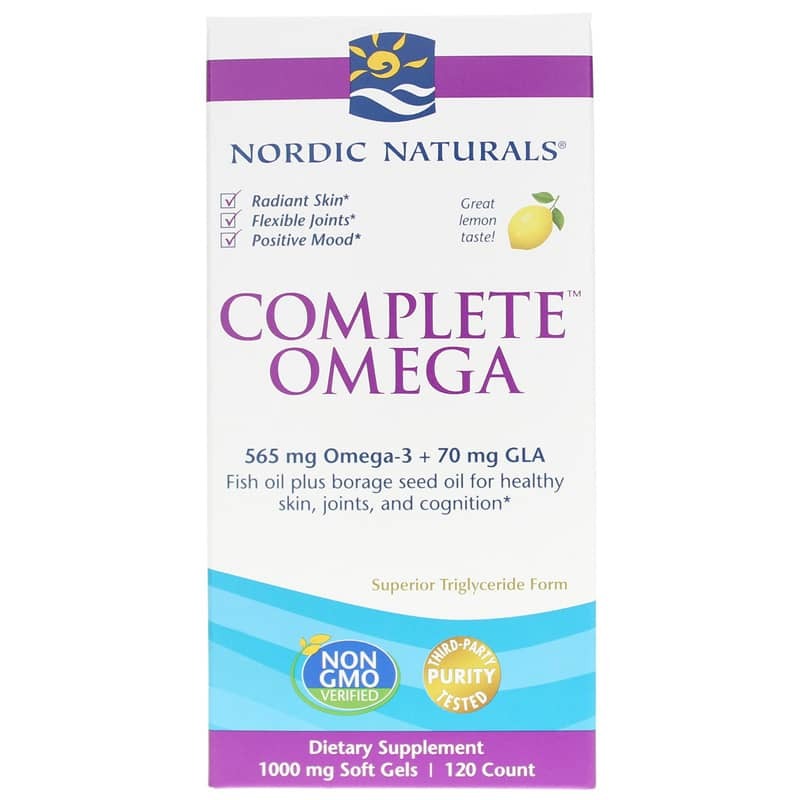 Nordic Naturals offers Complete Omega as a great supplement to ensure adequate intake of essential fatty acids from both fish and plant sources. 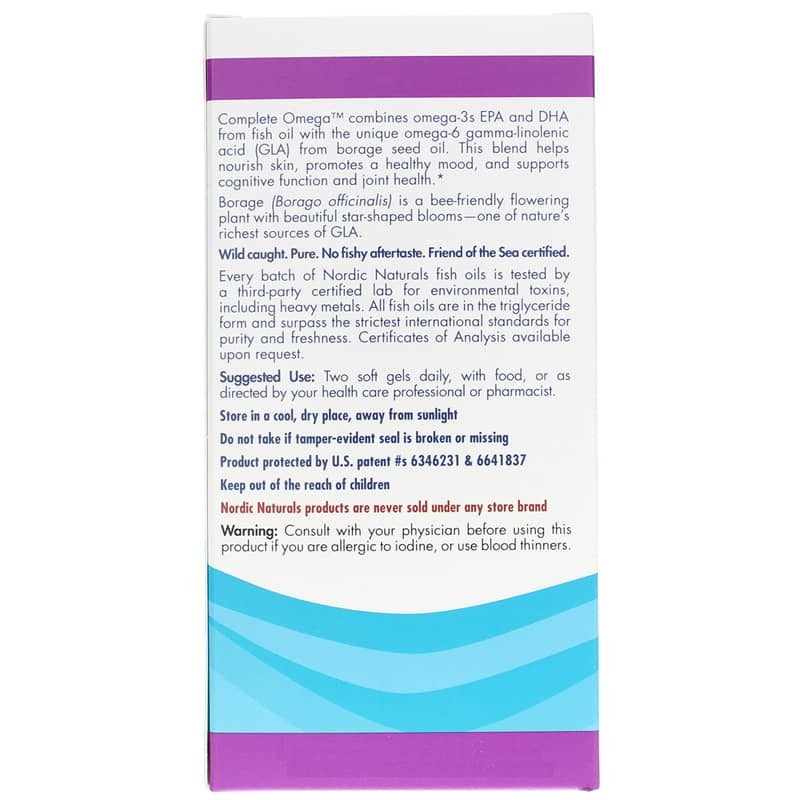 It delivers EPA and DHA from fish oil and GLA from borage oil. 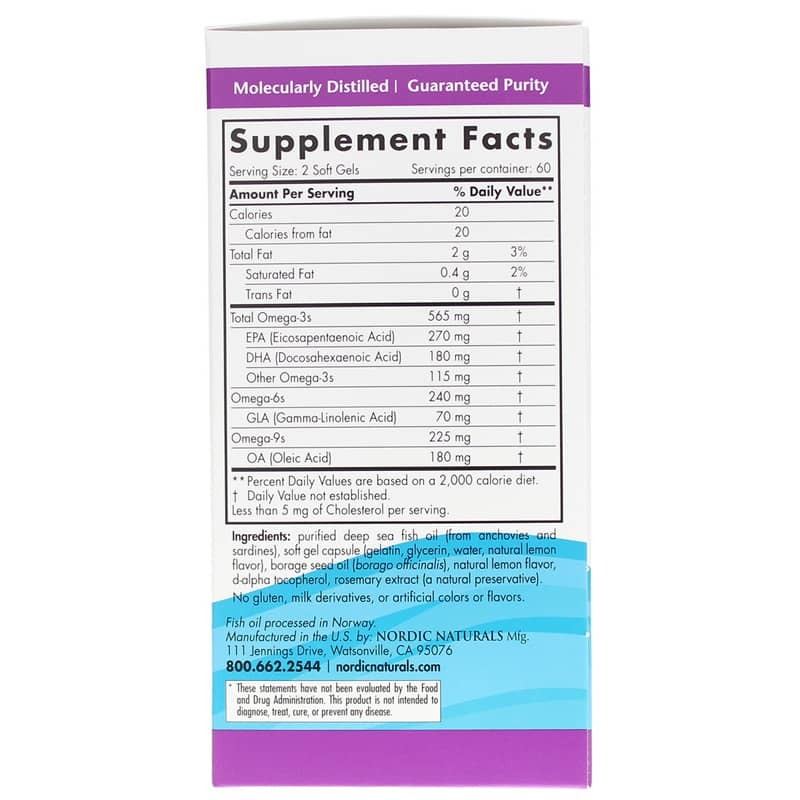 Consider adding Complete Omega to your daily intake and discover the benefits. 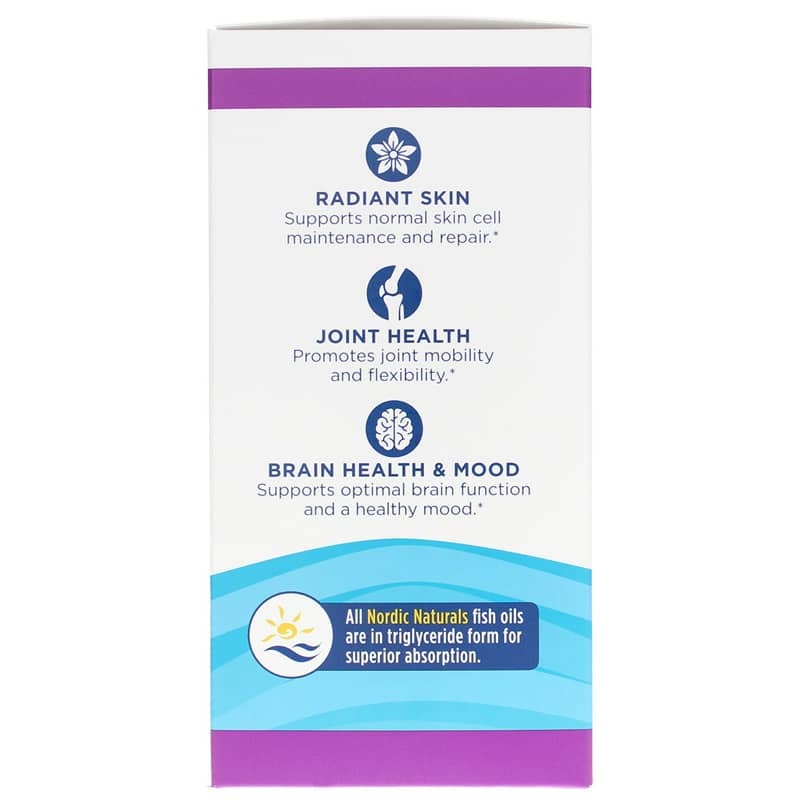 Ingredients: purified deep sea fish oil (from anchovies and sardines), soft gel capsule (gelatin, glycerin, water, natural lemon flavor), borage seed oil (borago officinalis), natural lemon flavor, d-alpha tocopherol, rosemary extract (a natural preservative). Contains NO: GMOs, gluten, milk derivatives or artificial colors or flavors. Quick & convenient online ordering. No fishy taste or bad smell! I'm pleased that there's no fishy taste and they don't smell. The capsules did<br> not upset my stomach either!